An American flag at the front of a school classroom is a common sight. 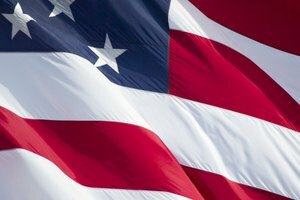 A flagpole flying a bright United States flag is a prominent landmark at most U.S. schools. But with a flag flying every day, the weather takes its toll. The same is true for classroom flags that fade over time or get damaged or misplaced. But there are ways for schools, especially cash-strapped public schools, to get free U.S. flags. Local businesses, flag companies and patriotic service clubs are three groups to appeal to when looking to spruce up the stars and stripes on your campus. Your local Masonic Lodge, American Legion post or similar service organization can be a great resource for free school flags. 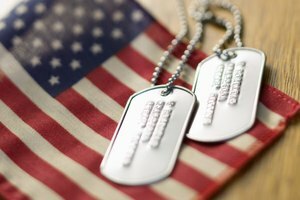 You can appeal directly to local branches or chapters of groups such as the Daughters of the American Revolution or seek help from the national headquarters of these and other patriotic organizations. Inviting members of these service clubs to the school for assemblies about flag etiquette or to mark Veterans Day could inspire them to be even more enthusiastic about helping out. The family-owned company Franklin Flags has operated its "Adopt a School Flagpole" program since 2008. 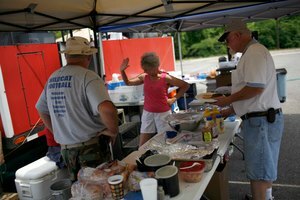 Donations to the program help keep it running. 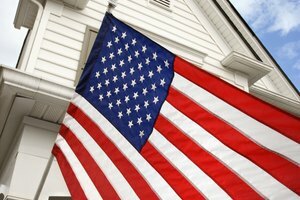 In general, the program is for large outdoor flags, typically to replace faded or torn flags that are ready to be retired. But Franklin Flags also helps with classroom flags and small, handheld flags, too. You can start by contacting the Massachusetts-based company to explain your school's needs. Schools work with local businesses on a variety of fundraisers and projects throughout the school year. Many local businesses are happy to partner with community schools. It's good advertising and provides the businesses with charitable donations that can be used to reduce tax bills. If your school needs a big flag for the flagpole or classroom flags, appeal to a local business or two to see if it can help get those flags at no cost to the school. Local flag and banner stores may also offer deals to school districts in exchange for some free advertising on a flagpole, for example. 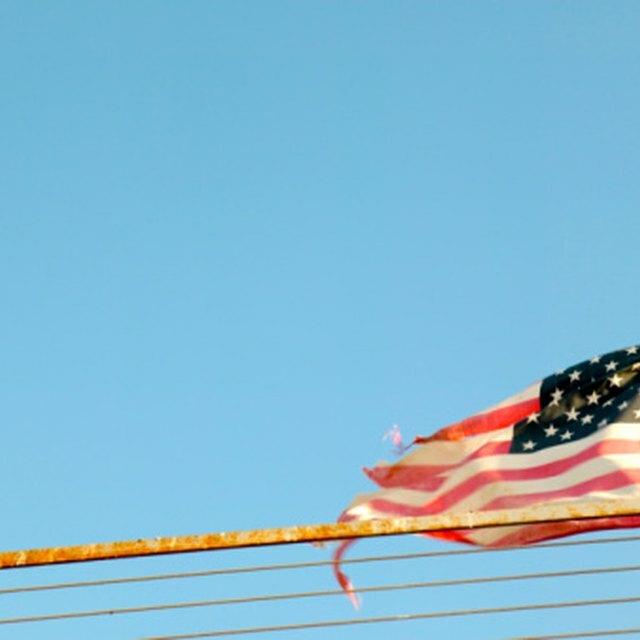 A heartfelt letter from a school principal, accompanied by a photo of a faded American flag, is a good way to approach businesses or service clubs about getting a free flag. A hand-written letter from a student or from an entire class, along with pictures of the kids, can also be an effective way to get someone's attention. Of course, a handwritten thank-you note from the students and school administration is a must after a free flag arrives. Roland, James. "Free United States Flags for Schools." 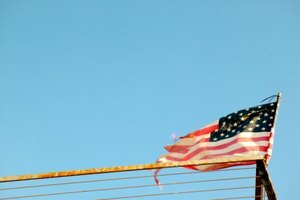 Synonym, https://classroom.synonym.com/united-states-flags-schools-8067607.html. Accessed 18 April 2019.